The project is to create capacity within LCN and expertise in Law Centres to secure funds from the EU and to share good practice with the wider advice sector. A three-year time frame is required for the project because it can take up to one year from the announcement of a new funding ‘call’ to notification of a successful bid. 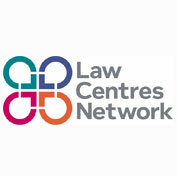 Law Centres Network is the umbrella body for law centres in England and Wales. The grants are for the development of training programmes for law centre staff covering universal credit and personal independence payments, human rights, running a legal housing unit, public sector equality duty commissioning, preparing and writing tender responses.